5 Places to Take Your Next Side-by-Side Vacation | Intimidator Inc. It seems like there is a vacation destination for everyone and everything these days. Beach vacations, culinary vacations, and ski vacations are very popular. But, have you ever heard of taking a UTV vacation or a side by side vacation? No? Well, it’s a thing. And if you love riding your side by side and cruising through different terrain, a side by side vacation may be just what you need. Get your rig loaded and check out these popular riding destinations that are perfect for the avid UTV rider. POPULAR SIDE BY SIDE DESTINATIONS ACROSS THE U.S. 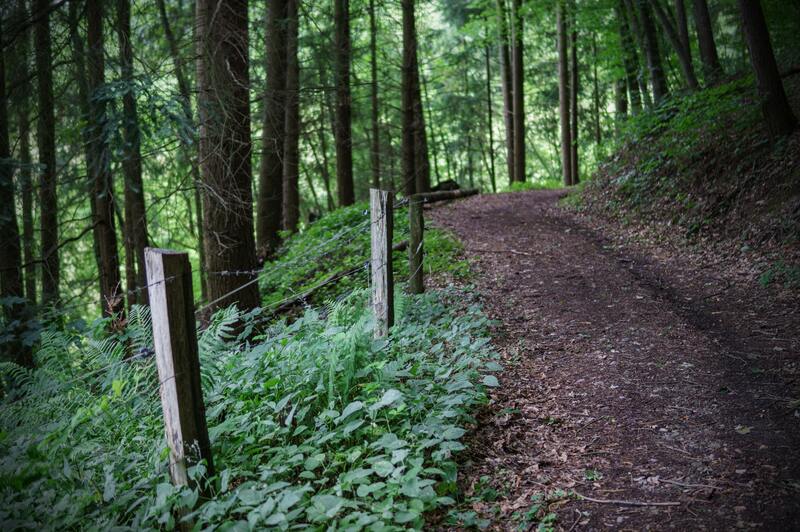 There are several off-road trails and parks across the United States. Here are a few of the most popular. It is said that the entire state of Maine is a UTV/ATV trail blazer’s heaven. Currently, it has over 6,000 miles of trails that are legal to drive your side by side UTV on, and they keep adding more. Terrain difficulty ranges throughout and riders can expect wooded areas, mud, dirt, and even snow. For those wanting to create a vacation out of their adventure, you can look into places like Katahdin Lodge that sits on the edge of the Maine Interconnected Trail System. Looking for a challenge? Moab is a fun destination and offers riders hundreds of miles of red rock trails and canyons. These trails can be very difficult and many require the use of 4-wheel drive. Riders gravitate to the tough obstacle-filled trails all year long. The town is also well prepared for off-road tourists and makes it easy to find a place to stay, eat, and shop. 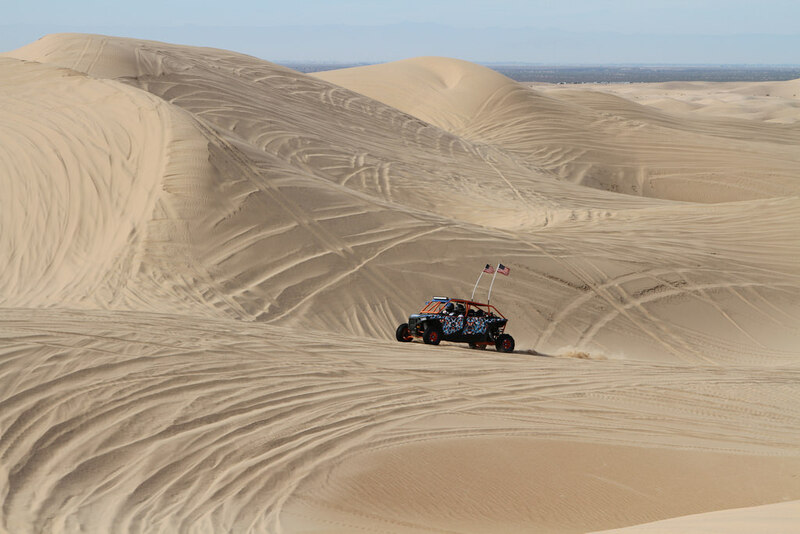 The Imperial Sand Dunes at Glamis is one destination that is a must for any side by side enthusiast. This popular off-road destination offers 20,000 acres of sand dunes to explore, and they vary in difficulty. While it may be too hot to take on the sand dunes in the summer, this is a great spot to visit in the fall and winter. There are several adventure and riding parks around the nation that are specifically designed for off-road riders. The Ridge Outdoor Adventure Park in Springville, Alabama, is one of those parks. In addition to the many trails it has, the park also provides kid-only motocross tracks. It also offers other non-riding activities such as zip-lining, hiking, and fishing and has cabins, camping, and hotel rooms to stay in for those who live far away. For example, St. Joe State Park in Missouri has 54 miles of dedicated trails for Off-Road Vehicles (ORV) including UTVs and side by sides. Oklahoma has three parks that provide off-road trails. The newest riding area is located at Robbers Cave State Park. The park has 250 acres of undisturbed off-road trails. In order to go on these UTV vacations, you are going to need a good rig. 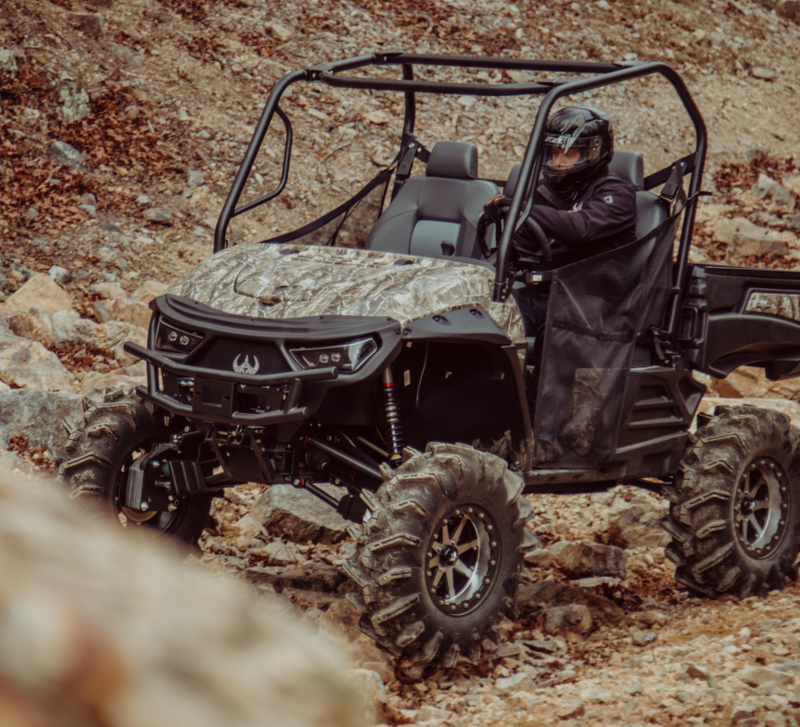 While any of our Intimidator UTVs would be great to take on a SXS vacation, the new GC1K by Intimidator is just what you need to take on tough terrain and turn heads. 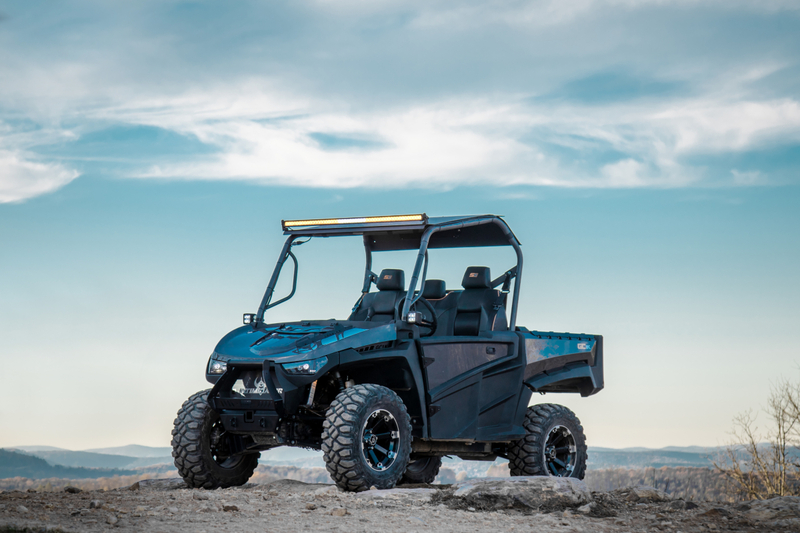 This game-changing UTV leads the industry in horsepower (83 HP) and has speeds up to 65 mph. It comes in 3 stages so that you can pick just how decked out you want your ride to be. Choose up to 30” tires, Elka shocks, 1000cc engine, a 7-inch touchscreen display with GPS and Bluetooth Sound System, and much more. It’s just what you need to take on any trail that comes your way. Whether you are looking to go across the country or to a local off-road playground, Intimidators are designed for work, hunt, and PLAY. So, load up your rig, pack some luggage, and head out for a vacation of a lifetime with Intimidator. Need a new ride? Find an Intimidator UTV Dealer near you by using our DEALER LOCATOR. Our dealers know these side by side inside and out and can point you toward the one that best suits your needs and wants.